An easy go-to recipe your whole family will love. It freezes beautifully, so make an extra batch to have on hand for those days when life gets too busy to cook from scratch. Place all ingredients in a large bowl. Mix and knead until combined. Divide the mixture into the meatball sizes you prefer. Place meatballs on a parchment-lined baking tray. Bake at 375 for 15 to 20 minutes. As oven temperatures vary, check to make sure they're cooked through. I love this combination, though you can adjust it by substituting in your favorite herbs and spices and your choice of meat. 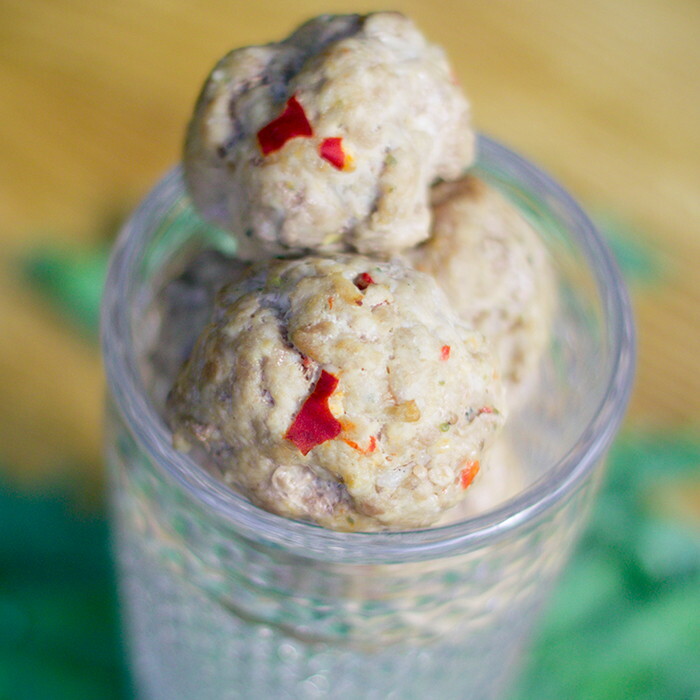 You can serve these meatballs not only with gluten-free spaghetti and tomato sauce, but also in a sandwich, as an appetizer, or in a lettuce wrap (adding the shredded greens of your choice, and then maybe some more hot sauce!). As always, let your creative side come out.